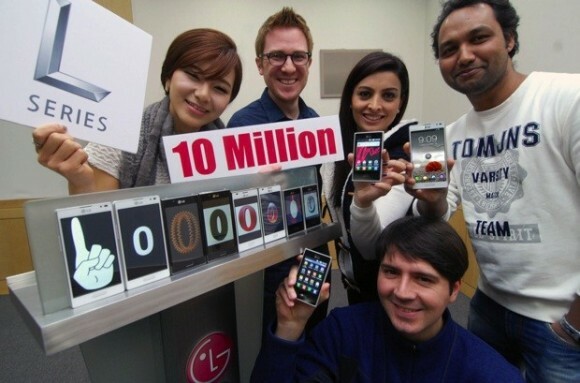 LG announced that it has sold 10 million of its L-Series smartphones to date. The number includes the entire range from the entry-level LG Optimus L3, through the Optimus L5 and Optimus L7, all the way to the imposing looking Optimus L9. While LG calls the eight-figure sales number a "modest milestone", it still pats itself on the back for it. The official press release points out the fresh styling of the range, the high quality displays of the handsets , as well as LG's proprietary UX features as the main reason for its commercial success. LG's L-Series broke cover during MWC 2012. The devices in the range are available in 50 markets worldwide. SO LG - how about you get us that Jelly Bean and other updates as a gift to us who gave cash four your L series?